The Burgess Boys is the story of a family: brothers Jim and Bob, and their sister Susan; as well as their respective spouses, exes, and children. When Jim, Bob, and Susan were very young, they were in the car when an accident killed their father. Bob has always believed himself to be responsible. The heavy burden he carries has led him to a solitary life in a small apartment with lots of alcohol. Jim, on the other hand, has become a successful and famous lawyer with a lovely family and a nice house. Unlike her brothers, Susan did not move to New York but stayed in their hometown, where she also has a small, cold life. Her only joy is her son, Zach- until his teenage prank mushrooms into a hate crime against the Somali Muslims that have immigrated to their hometown. Zach’s legal case forms the framework for The Burgess Boys, but it is not the story: the story is the brothers, Jim and Bob, and their struggle to navigate their relationships with each other and the people around them. This is not a book with lots of action or major plot points, but it is a book with incredible character development. The narration rotates among a handful of main players, allowing the reader to see the characters from both their own and others perspectives. Yes, The Burgess Boys is about immigration, racism, and the law. It is also about middle-aged marriage, divorce, and falling in love again. But ultimately, it is about family. It is about the narrative of who you are in your family, starting in early childhood, and how it shapes the person you are as an adult. 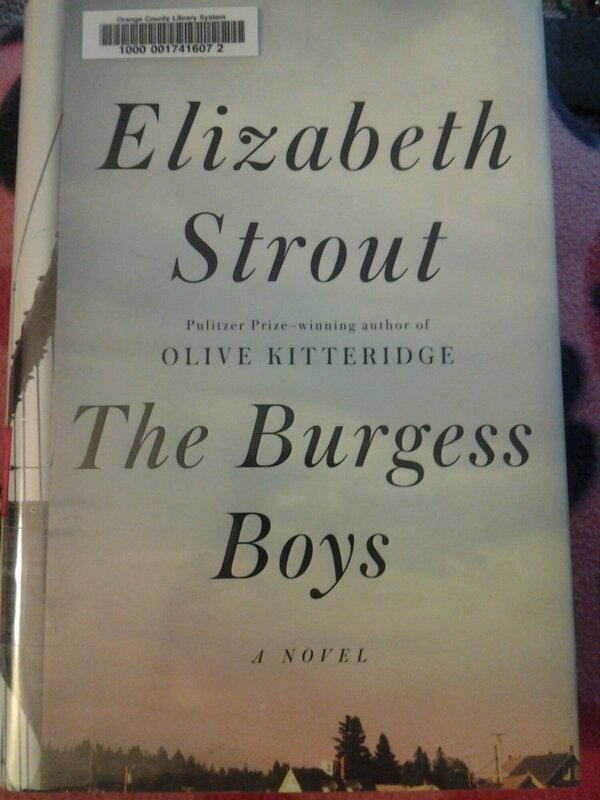 Its about the Burgess boys, Jim and Bob, and the people they love -and hurt- the most. This entry was posted in Fiction and tagged accident, book review, family, guilt, Islam, legal. Bookmark the permalink.